Sesame is one of the main oil crops in China. It contains abundant nutrients and is widely used in the development of nutritional health food and medicines. At present, the main methods of sesame oil production include water substitution, leaching, hot pressing and microwave drying. However, the water substitution method has some shortcomings, such as high labor intensity, low oil yield and small scale of production. The crude oil obtained by leaching method needs refining. The nutritional and antioxidant components of oil and fat are easy to be depleted in the refining process. Although the sesame oil obtained by hot pressing method has a strong fragrance, it also produces a certain amount of low-level harmful to human health. Subcompounds and common toxic substances, such as aldehydes and ketones, benzopyrene and pigments, etc., and in the process of high temperature pressing, the protein in sesame will be denatured and inactivated, and the nutritional value will be greatly reduced. Low temperature pressing is a new technology for sesame oil production, which reduces the loss of protein and nutrients in sesame. However, there are still some problems such as low oil yield, sterilization, poor oxidation stability of sesame oil and short shelf life. Enzymatic oil is mild and easy to operate. Studies on safflower seed oil show that enzymatic (cellulase and protease) assisted pressing can improve oil yield and reduce the damage of vitamin E and sterols in oil. In order to obtain sesame oil with sufficient nutrient retention and high stability, the company studied the preparation of high-quality sesame oil on the basis of low-temperature pressing technology, combined with enzymatic hydrolysis, stirring, ultrasonic treatment and other processes, in order to provide new ideas and reference for the processing methods of sesame oil machine. Taking oxidation stability as evaluation index, the optimum technological parameters of refining sesame oil were determined by single factor experiment and orthogonal experiment as follows: 1 000 U/g of compound enzyme, 0.5 W/cm2 of ultrasonic power density, 1 h of ultrasonic time and 800 W of microwave power. Compared with the common low-temperature pressed sesame oil, the acid value and peroxide value of sesame oil obtained by this method decreased, the content of vitamin E and sterol did not differ significantly, and the composition of fatty acid did not differ significantly, but the content of phospholipid and phytate was lower, only 0.03% and 0.04%. 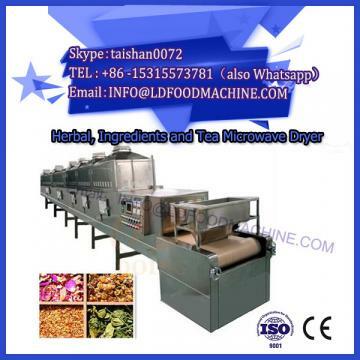 The oxidation stability experiment of microwave drying mechanical technology shows that the oxidation stability of sesame oil obtained by this method is 17% higher than that of ordinary low-temperature pressing sesame oil. This method can effectively improve the oxidation stability of sesame oil.